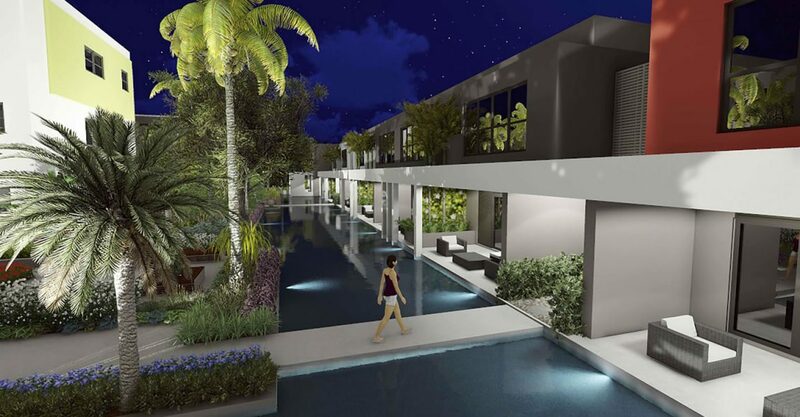 2 bedroom apartments for sale in Barbados within an exciting new development on St Lawrence Main Road in the heart of the South Coast. 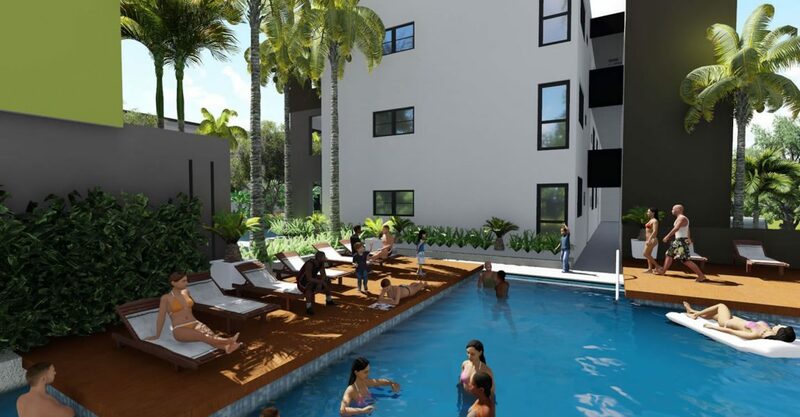 These new construction apartments are located within an exciting new gated condominium development on St Lawrence Main Road, Christ Church in a quiet spot in the the heart of the entertainment district of the South Coast of Barbados. 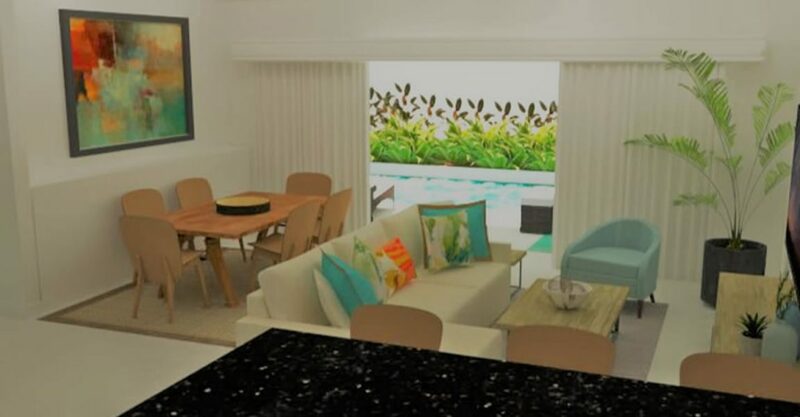 The apartments feature a contemporary open plan layout with stylish design. 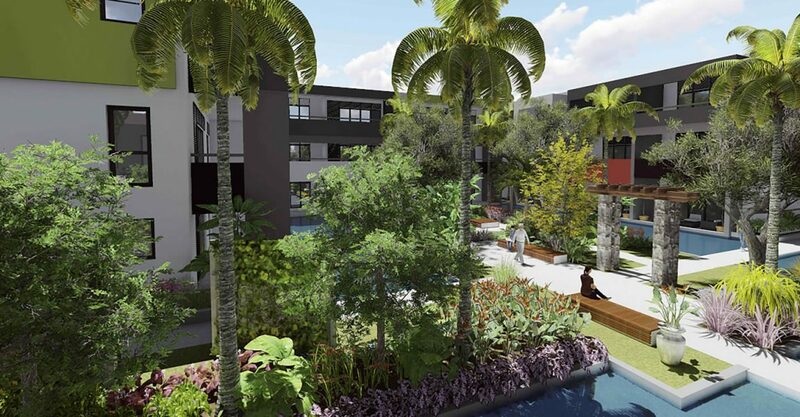 Set in landscaped gardens with many large mature mahogany and casuarina trees, the apartments face on to a water garden with serene central reflecting pool filled with harvested rain water. 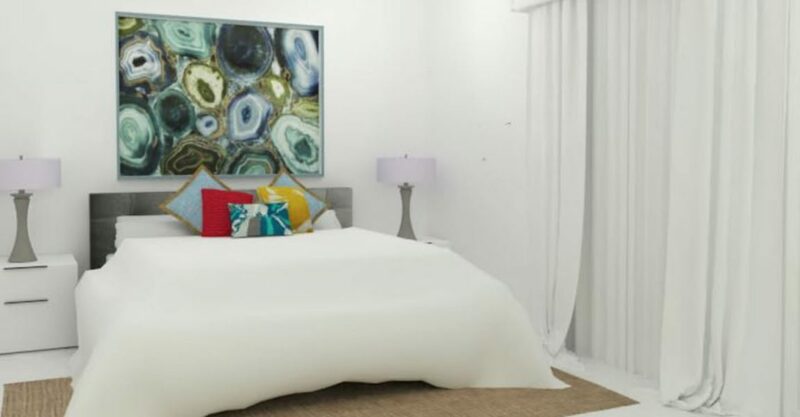 These apartments for sale in Barbados would be ideal as a modern affordable home in a desirable location for residents of Barbados or vacation homes for overseas visitors. 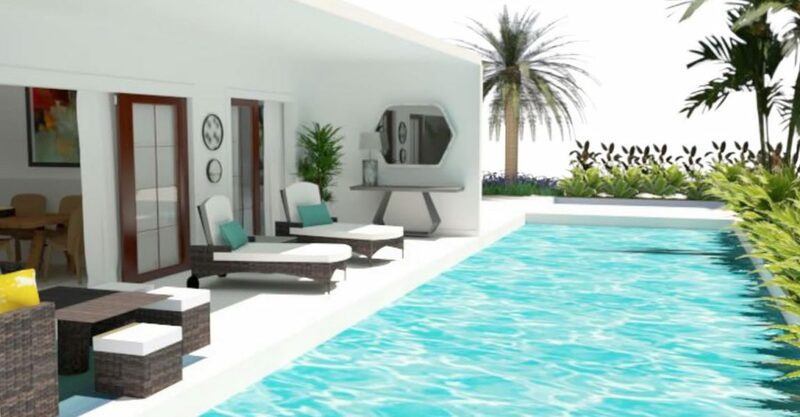 The apartments would be ideal as short-term or long-term investment properties for the rental market which could generate extra income.